Saw this sign yesterday at Surra Co-Op, while getting a few packs of my favorite Haagen daz ice-cream. I wonder what’s going on here. I did hear that some of the ready-to-make Cappucino and Mochaccino boxes were missing from co-ops due to pricing conflicts. I do hope this doesn’t turn into another KDD Co-Op boycotting campaign. That wasn’t fun when it happened 3-4 years ago. 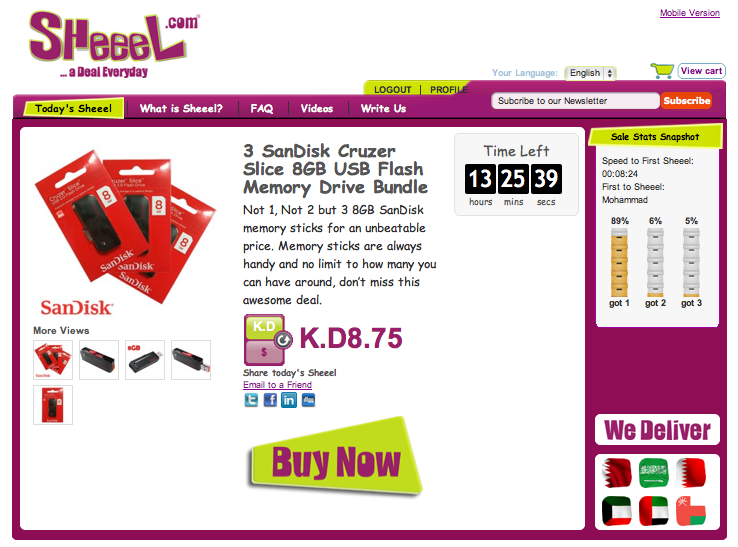 Get 3 8 Giga SanDisk memory sticks for an amazing price of KD 8.750, from sheeel.com. DHL refunded me KD 12.5, which is half of the KD24.75 they had originally charged me. 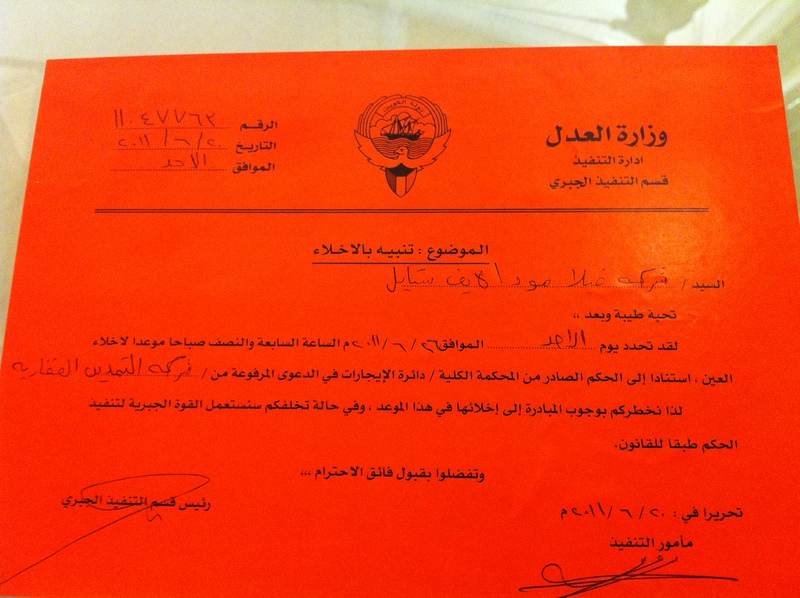 Kuwait Customs ROCK. I’m very pleased with all of them; from the young guys in reception, to the girls in clearance, and ending with the manager of Import\Export Air Customs. They all sympathized with me, understood the silliness of my billing, and supported me when I complained to DHL. For the next times in the future, I have to make sure that my package is consolidated along with all other DHL packages, so that the fees get distributed over a number of people, not only on me. This rule applies to all shipping companies, btw. The Customs Department are very co-operative and helpful with personal shipments; they even allow shipping companies to clear personal packages in BATCHES vs. single clearances; by thus saving us loads of fees. However, it seems that not all shipping companies pass on this saving to their customers. So ask yours to do that for you; cause God knows Customs allows them to do that. I had a previous problem with DHL: they charged me customs fees of KD 25 for a package valued at KD34, and that’s excluding DHL shipping of KD 17. So I had basically paid KD 42 in shipping and customs, for a package valued at just KD 34 and weighed a messily kilo and a half. I had tried reasoning with DHL-Kuwait, and I also told the American Co. that shipped my stuff to complain to DHL-USA on my behalf (along with me emailing them all of my bills). 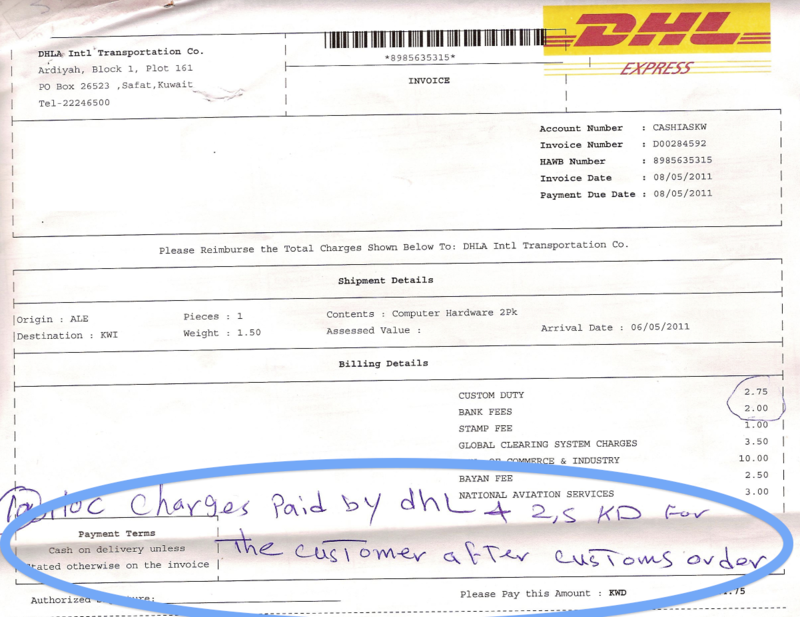 DHL-Kuwait replied that it was Kuwaiti Customs who had charged me and not them. Faced with that response, I decided to go to Customs\Jamarek and fix the issue myself. I went there this morning at 8 a.m.. I was done by 9.10, and that is after proper hospitality of estikanat chay (which I drank, and I never ever drink tea) and a bottle of water. 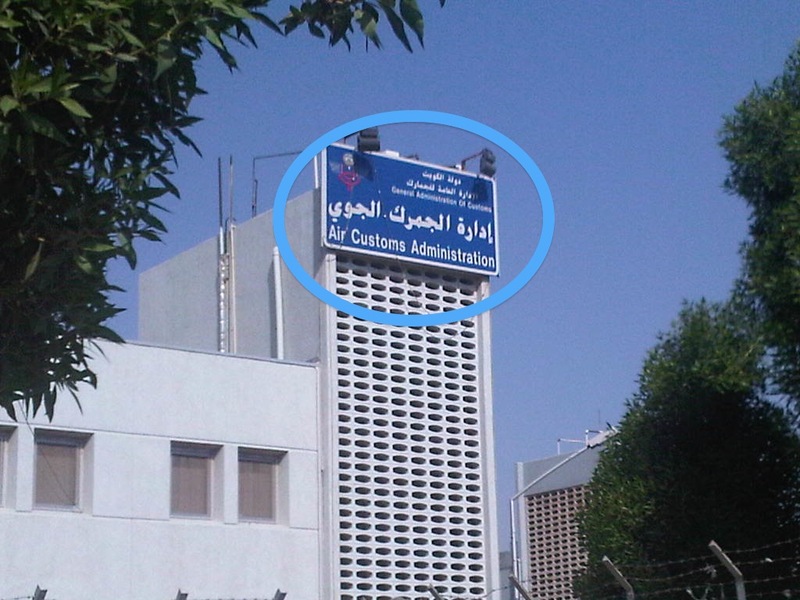 The Air Cargo Customs is located just beside Kuwait’s International Airport, you take the right turn when you’re in the Airport Roundabout. 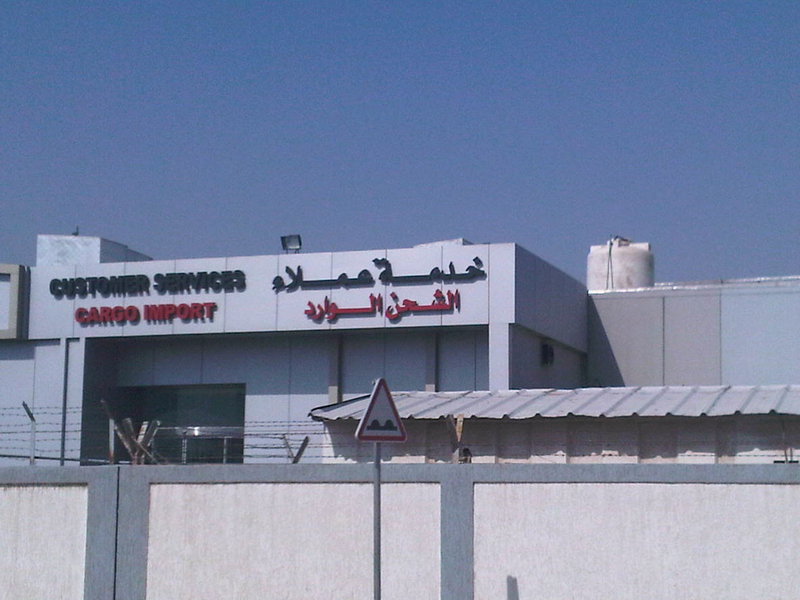 At the gate, I asked for Customs complaints, and I was showed to a building just at the right of the entrance gate. 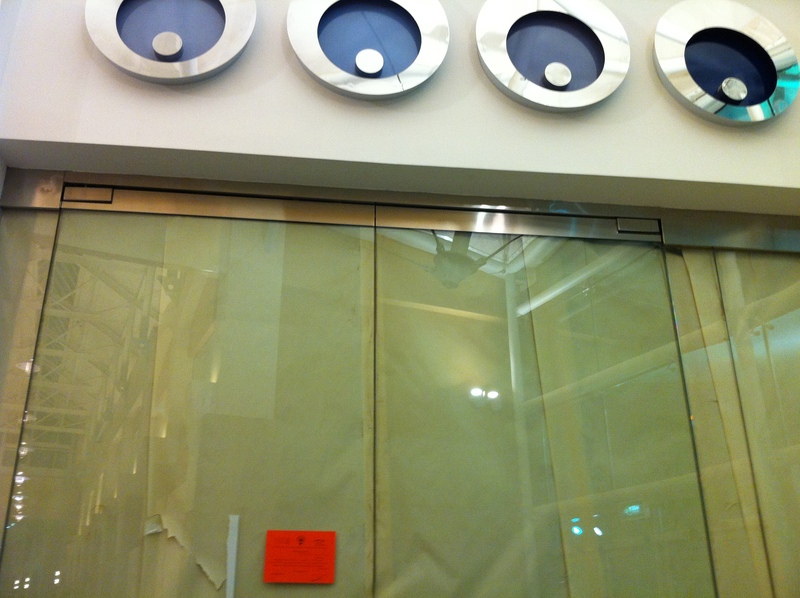 There, I had a short 10 minute chat with the super friendly young guys at the Reception windows. This was my first positive response: they were very sympathetic with me. They then referred me to their boss. Their boss is the Head of Air Import\Export Cargo Customs, a super nice human being. After I explained my problem at his window, he asked that I get into his office. There is where I met another 4 customs staff. I got to witness the hard work these people have to do in order to finish their huge daily load of customs transactions . They basically changed my view over the common misconception that governmental employees don’t work. 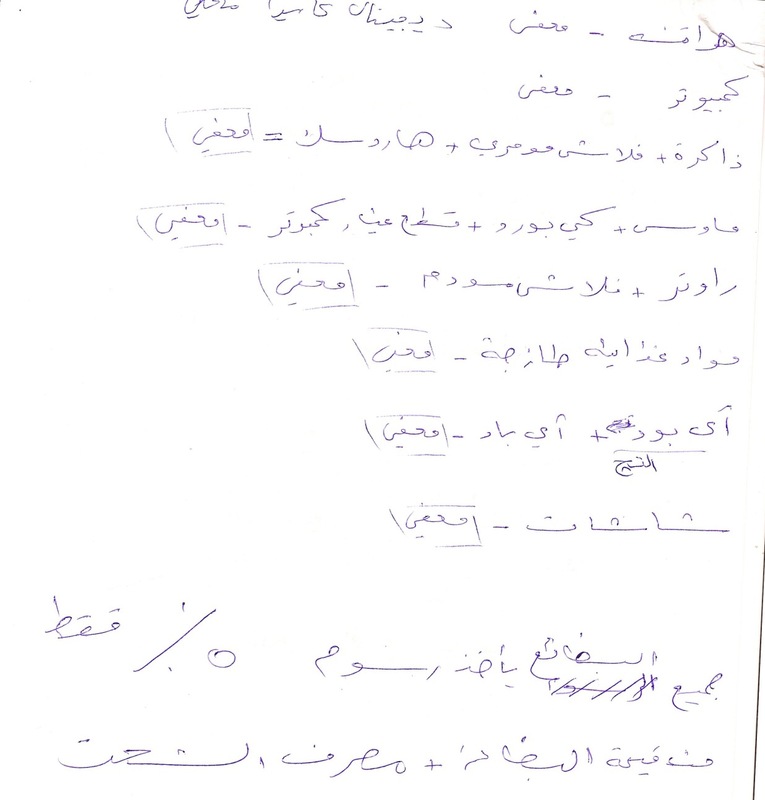 One of those staff was nice enough to give me the list of declarable items and another list of items that have to be referred to other placed before being released (like baladiya or M.O.Communication, Information…etc.). After I saw that the Customs were supporting my claim for injusticed fees, I asked them to call the DHL guys to come and discuss the issue with me. Someone from DHL came into the office, but he was too junior to offer any help; so we asked him to get his superior. 15 minutes later, the DHL guy in charge came in. Me and him had a bit of an argument. I can be quite clear and direct, and super convincing when I want to explain my point of view. The Customs manager we were with asked him why my package wasn’t consolidated with other DHL packages. It turned out that I had missed the consolidation time in Bahrain, and so my package arrived as a single package. 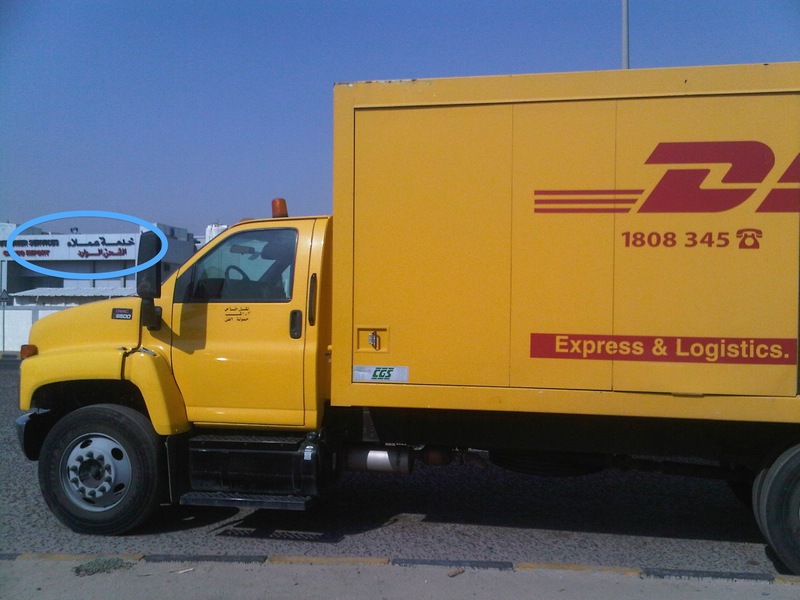 That made me laugh so hard, because as we all know, DHL own their OWN FLEET of planes, so mako shay esmah I missed the time. I simply told him DHL own their own planes, they are only allowed to carry their own packages, and I can hardly believe that they would fly a huge empty plane all the way from Bahrain just for my small one and a half kilo package. He replied that in any case, I had declarable items, and that is why the custom charges were high. 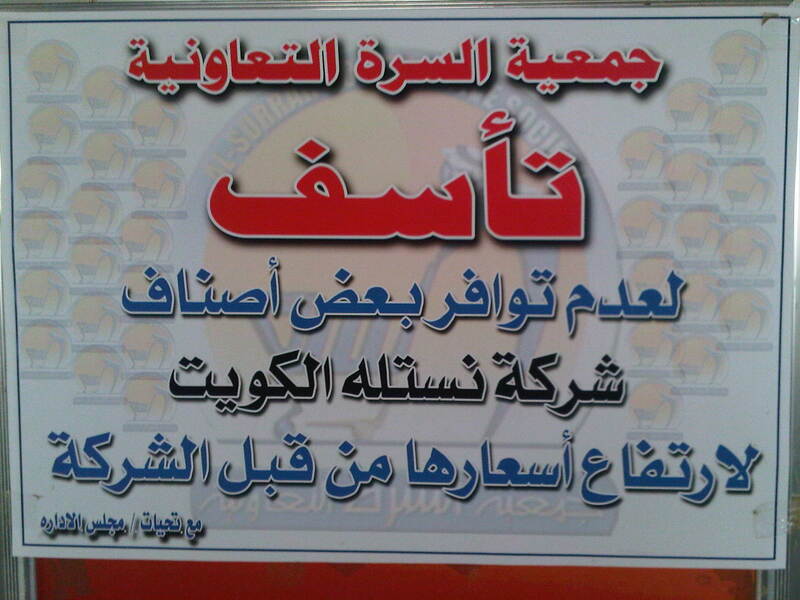 Of this, I was 100% not convinced with from the first day they charged me the fees. I had taken the things I got from the States with me, so I started pulling them out one by one, asking him every time: is this what was declarable? 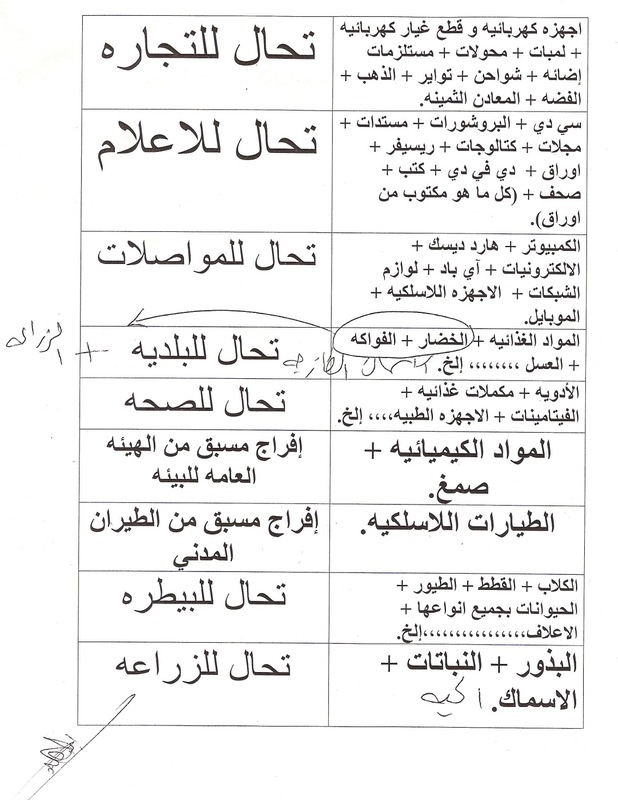 Or was this something exempted? It turned out that ALL of my things were custom-free items, except for one single item worth….. wait for it…. One Dollar!! 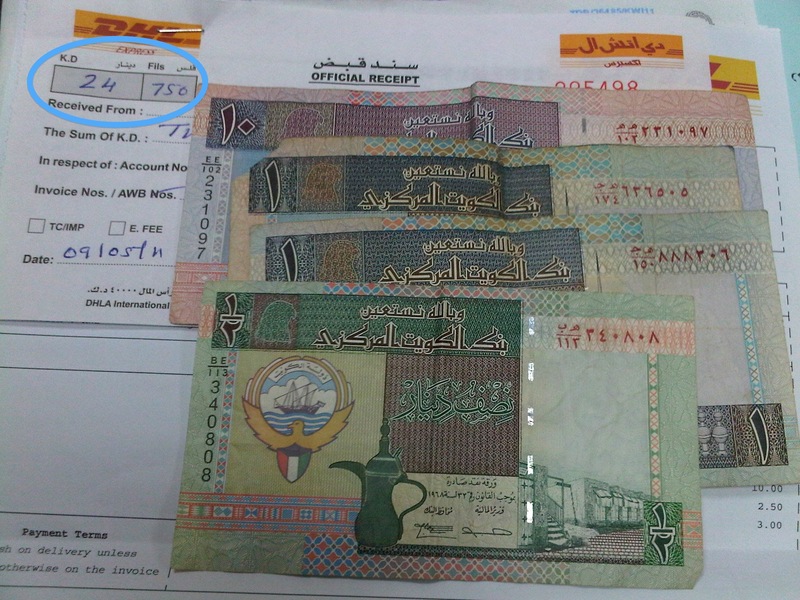 For a single item that is just worth $1 (250 fils), I got charged with Customs fees of 100 fold: KD 25!! The head of Customs got upset when he knew that I was over charged just because of this $1 item, and more upset to know that DHL had went ahead and agreed with this. I do know that DHL has no influence or power with Customs; but I had also believed, way back from day one, that the Customs people were reasonable people. They proved that this morning. I had simply asked DHL to take my papers and go check again with the Customs, because I know for sure that they wouldn’t have charged me this much if someone had pointed the particulars of my package to them,. It turned out that Customs reply was very simple: you should not have declared the whole package over this silly small thing. I, honestly agree with them. I would have gladly let Customs or the M.O.Commerce take this $1 item, rather than me paying 100 times that amount in charges. Go and compliant if you ever feel cheated. Go and defend your rights. I got more than half of my money back, just because I went in person to check with Customs. I ended up getting more than half of my money back. DHL refunded me Kd12.5 of the KD24.75 they originally charged me. That’s a refund of more than 50%, not something to laugh about. Kuwait Air Customs SIMPLY ROCK. I can’t stress how helpful and co-opetrative they are with individual (non-commercial) clients. For all future shipments: Make sure your package is consolidated, and is not treated as a single stand-alone package. That way, all fees and charges would be distributed between several customers, rather than just you alone. Even though I am very happy that DHL refunded me some of the fees, in the end; I still think they should have done this by themselves, and not have me have go to Customs and complaint about it in person. I will be trying DHL’s services one more time inshalla, just to make sure if they’re good or bad. But frankly speaking, Aramex seems to be the best choice for Kuwaiti online shoppers. ْUpdate: I solved my problem with DHL. 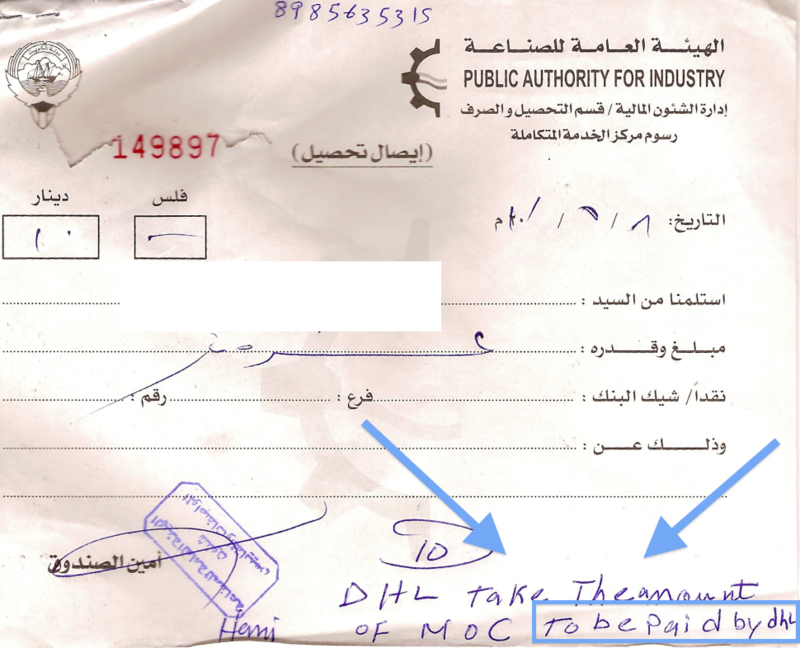 On my way to Jamarek to sort my DHL shipment problem of last month, when DHL charged me custom clearing charges of KD25 for a shipment worth KD37. I tried reasoning with DHL several times, but they keep insisting its the customs deptartment, so I’m going there now to sort the matter. Obviously it’s not about the money, because I already paid DHL. But I want to know what the problem is exactly, so I won’t be over charged like this in the future. 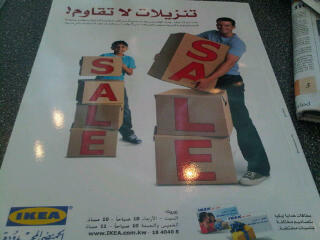 The IKEA sale is on till July 3rd. Facebook fans! get the OFFER NOW! 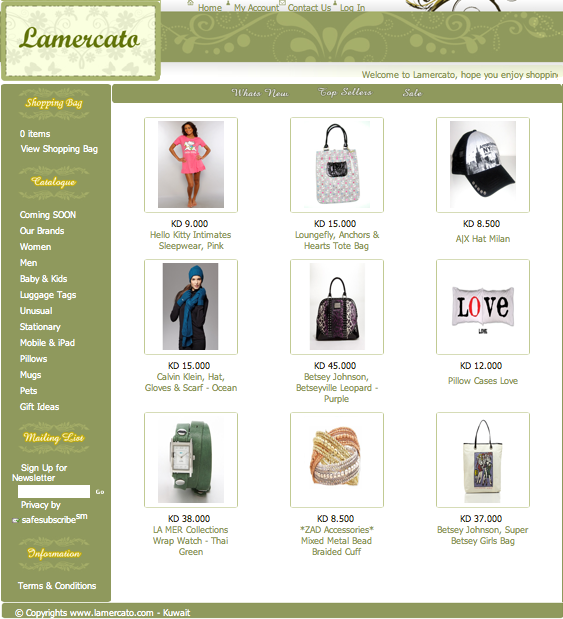 50% On every item on the website!!! Offer ends 4 am!! Hurry UP! NOTE: Sale’s items not included the OFFER! but you still can buy them! When you check out, you will see the total amount! BUT you will pay only half!